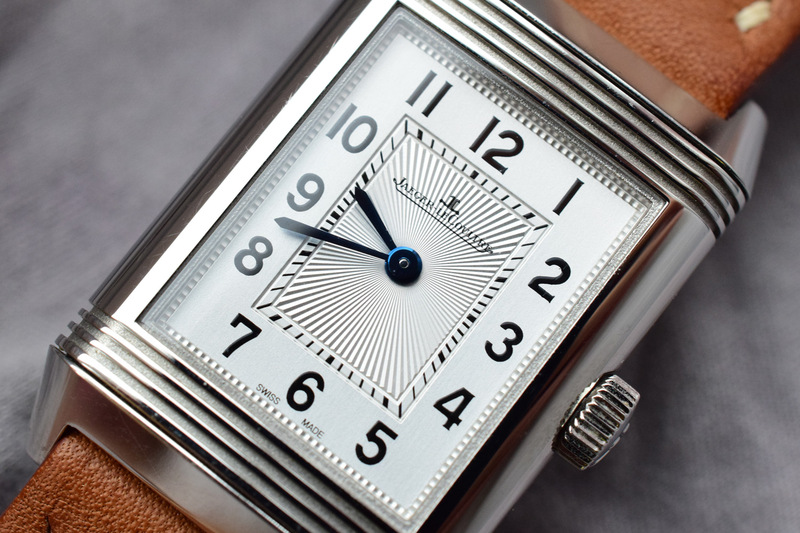 We go hands-on with a Jaeger LeCoultre Reverso. 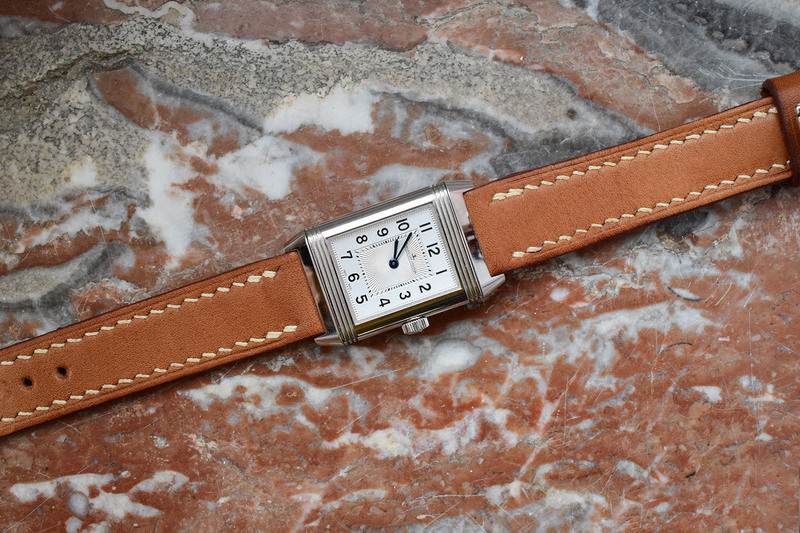 The Reverso Classic to be exact. It is one of the most timeless & iconic watches in my book. 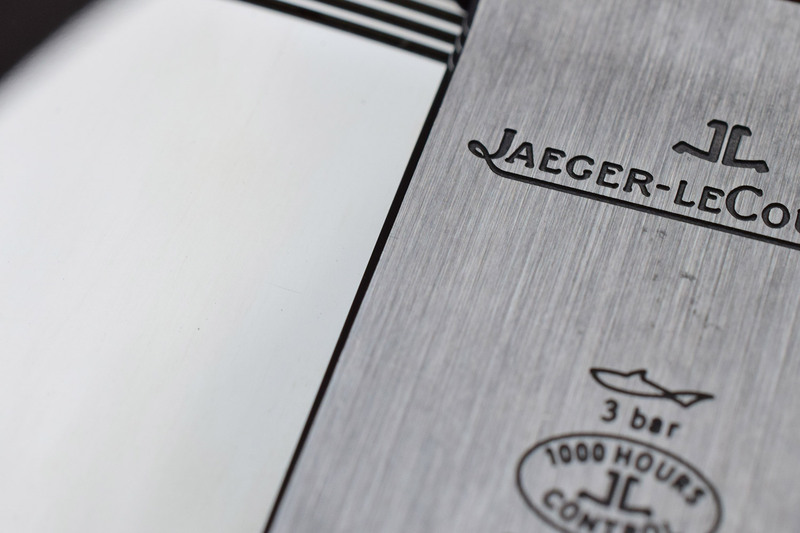 Jaeger LeCoultre is renowned for its eye to detail and finishing. 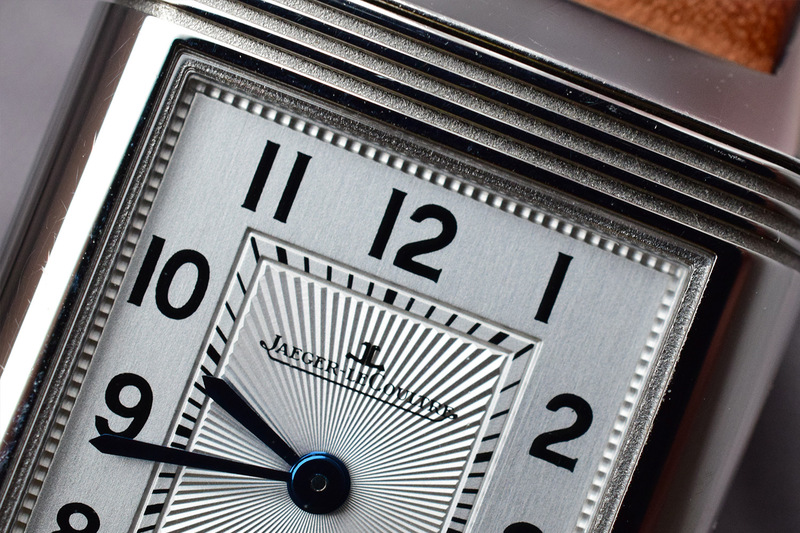 Watchmakers tend to have a special place in their hearts for them too (read here). Let’s see what all the fuss is about. 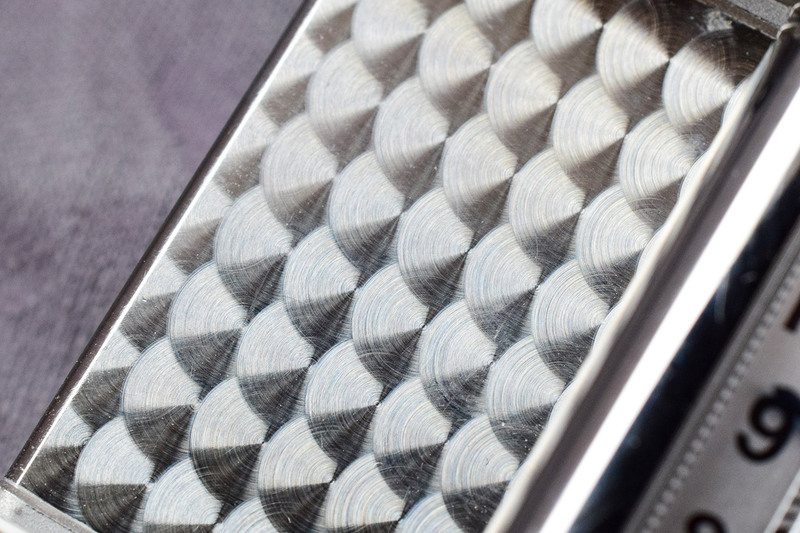 Even the grooves show a lovely pattern which until looking at it from so close, I had not noticed. Notice also how on the outer edging the decoration is engraved and not simple painted dots. 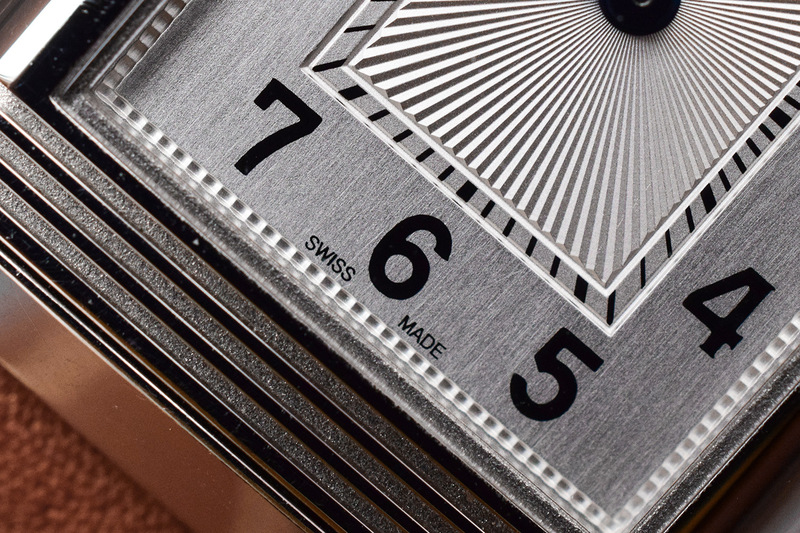 The satin brushed flat silvered dial balances nicely amongst this decorative extravagance. That water resistance symbol gets me every single time. As you will see on the final shot below, all these details are terribly difficult to spot at a glance. In fact, they mostly go unnoticed when looking at it from a distance. 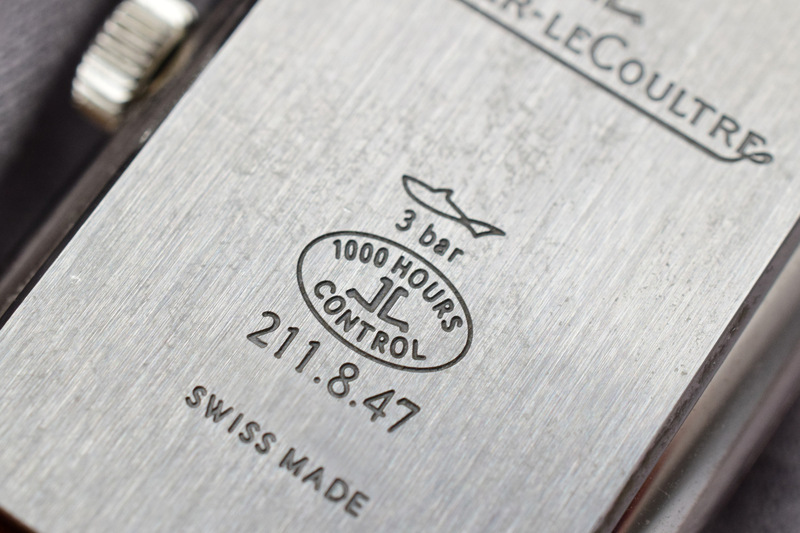 Even the brand name ‘Jaeger-LeCoultre’ is rather difficult to read from even a small distance! 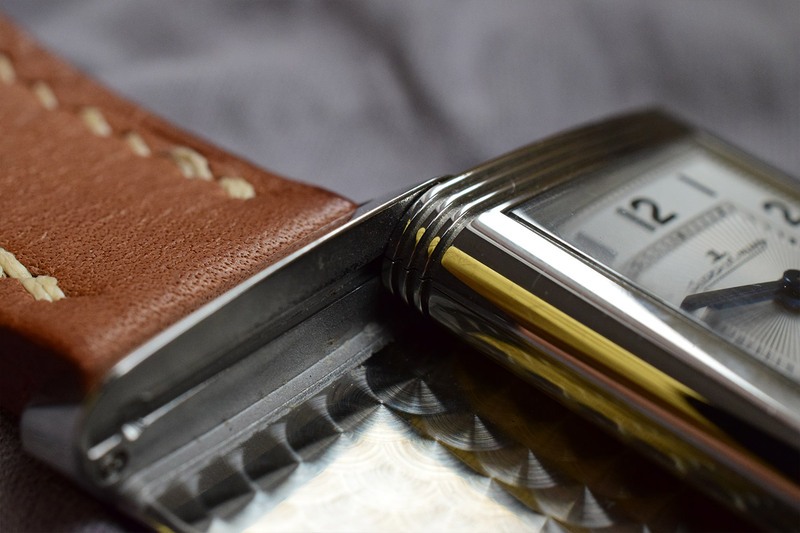 The overall case design is however iconic, making it one of those watches which people ‘who know’ will recognise easily from across the room. 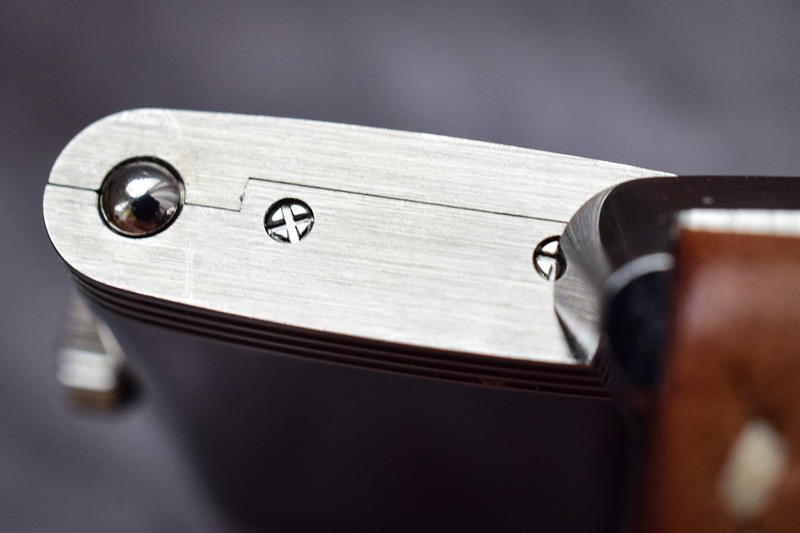 JLC is known for its attention to detail and finishing, and the above macro shots certainly do provide proof to that claim. 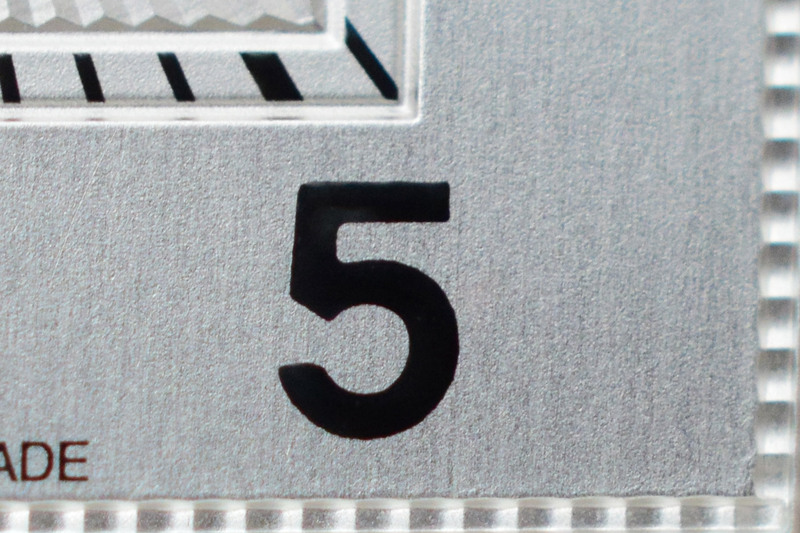 In conclusion, despite this Reverso not having a see-through back nor having a custom engraving on the back (which is an option), the details are quite astonishing especially given its very compact size. 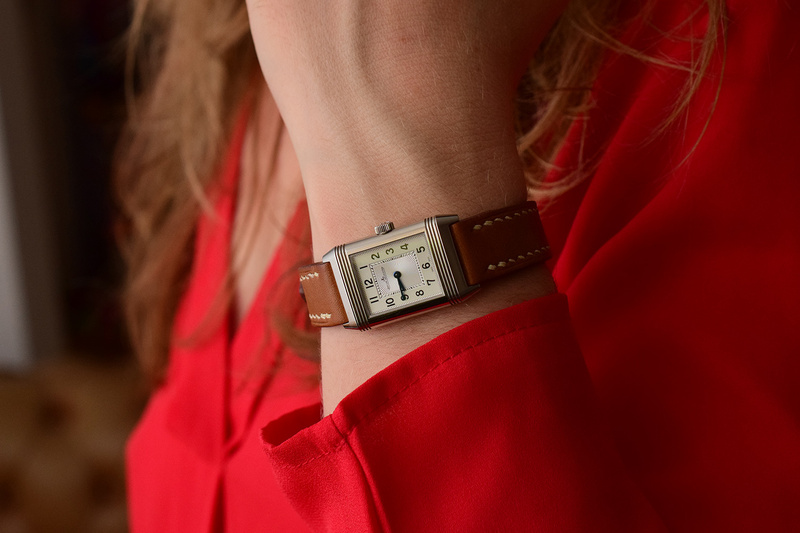 The Reverso, timeless and classic indeed. 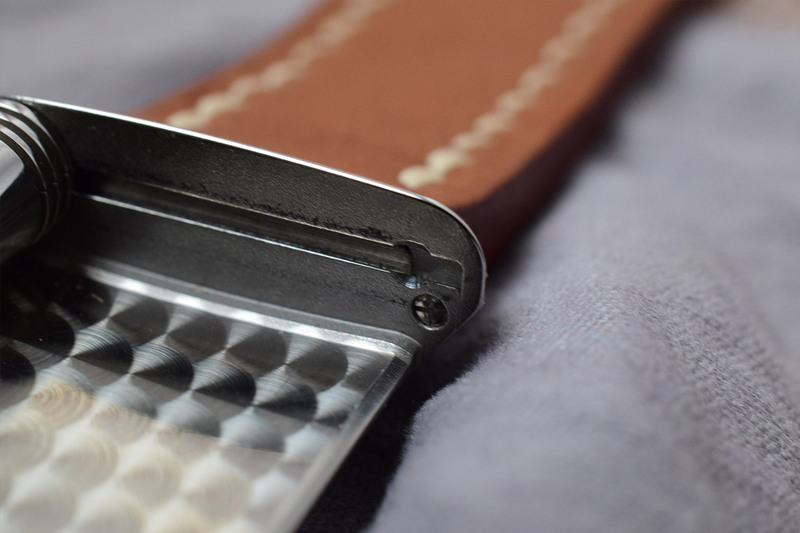 Note: The strap featured on this watch is not the stock strap. It is our de Griff Honey Brown barenia strap. You can find it in our shop. I look at one of these nearly every day – never noticed the dial had this much going! Third pic from the top is all kinds of good. Fun viewing!